DukeEngage programs empower students to address critical human needs through immersive service, in the process transforming students, advancing the University’s educational mission, and providing meaningful assistance to communities in the U.S. and abroad. DukeEngage Summer programs are fully funded. For more information about DukeEngage visit their website. The following DukeEngage programs have a Human Rights focus. Each summer, Duke students are taken to service sites in Cape Town and Johannesburg. Students will spend the majority of the time in Cape Town, working with social agencies that are seeking to improve life in townships, document the history of District Six (a neighborhood bulldozed by the apartheid regime because it was a model of multi-racial democracy), and promote health and economic reform in the nation. In the course of this work, students will interact with South Africans who were victims of, and activists against, the rigid system of racial apartheid that ruled South Africa for much of the 20th Century. 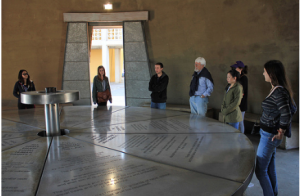 Students will also spend a brief time in Johannesburg and Pretoria, immersing themselves in the history of apartheid and the liberation struggle. In both locations, participants will explore how the stories carried forward about the past help shape policy decisions in the present. For more information, please visit the DukeEngage website. During the DukeEngage program in Serbia, students collaborate with organizations that are committed to defending human rights and/or providing humanitarian aid in a young democracy where ethnic tensions run high. As a member of his or her organization’s team, each DukeEngage participant makes a significant contribution to one or more aspects of its overall goals. Because of the immense variety of host organizations in this program, SIT is able to match Duke students’ skills and interests with the needs of their host organizations. Living with Serbian families provides students with the opportunity to feel at home in an amazing city. Although far from the tourist beaten track, Belgrade is bursting with “Slavic cool” – as reported recently in the New York Times. 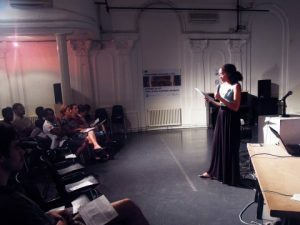 In Serbia, a post-communist nation torn by ethnic wars of the 1990s, civil society is constantly evolving. While building a thriving milieu of arts and culture, Serbia remains fraught with profound social, political and economic challenges. The hope of joining the European Union creates widespread support for laws that protect minorities (for example, ethnic minorities or members of the LGBT community,) and institutions that provide aid to the recent influx of refugees and asylum-seekers, mostly from the Middle East and North Africa. SIT has developed a wide range of work sites that range from multi-ethnic cultural centers and policy think tanks to daytime care facilities for street kids and shelters for refugees. In a nation without a tradition of civic engagement, these NGOs have developed significant Serbian and international donor bases. DukeEngage participants from previous summers have expressed deep admiration for the perseverance and idealism of the young Serbians they met. For more information, please visit the DukeEngage website. 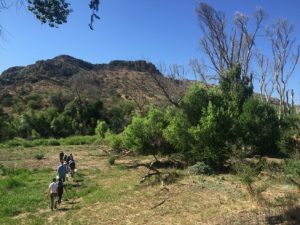 During DukeEngage Tuscon, Students will explore the root causes of migration through their work with local organizations and home-stay families in Tucson. Participants will work directly with community organizations and learn about issues related to the U.S./Mexico border, focusing on human rights, economic and racial justice, comprehensive immigration reform, indigenous land rights, and environmental issues around border and immigration policies. Students will also have opportunities to connect their experiences in these border regions to realities of life in North Carolina. Led by BorderLinks, an organization with 30 years of experience using experiential learning and popular education, DukeEngage-Tucson has worked with Duke’s Program in Latino/a Studies in the Global South, Center for Documentary Studies, and Student Action with Farmworkers to provide students with a comprehensive understanding of border and immigration issues we face today. For more information, please visit the DukeEngage website. During their two months in Miami, students partner with nonprofit organizations that provide legal support and advocacy for immigrant and non-immigrant youth and adults on immigration and refugee claims, domestic violence, sexual harassment, and housing issues. 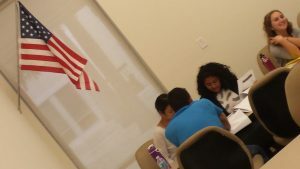 Students work in the multi-ethnic Miami-­Dade area, a county with a 46 percent foreign-­born population, chosen because of its diverse immigrant communities. Now in its 4th year, the program is subtitled “The Many Faces of Miami.” Miami as a U.S. city nicknamed “the capital of Latin America;” Miami as one of the highest-percentage-­Spanish-­speaking cities in the U.S.; Miami as home to several distinct waves of Cuban-American immigrants; Haitian-American immigrants; Miami more recently as a global city, flavored by immigration from Latin America as a whole and from the Caribbean specifically; Miami as socioeconomically diverse; Miami as a Duke alumni home and network; Miami as a place of interesting politics, art, cuisine, and culture as well as exciting international entrepreneurship and law. Throughout the program, students will explore and reflect on these many faces together. For more information, visit the DukeEngage website.